A child’s perfect scenery is hardly ever complete without a water body and a grown up’s idea of a perfect peaceful spot invariably features a lakeside seat and when the Himalayas are thrown into the picture, magic automatically pours in. The lakes were hand made by the Gods to show mankind the meaning of visual pleasure. 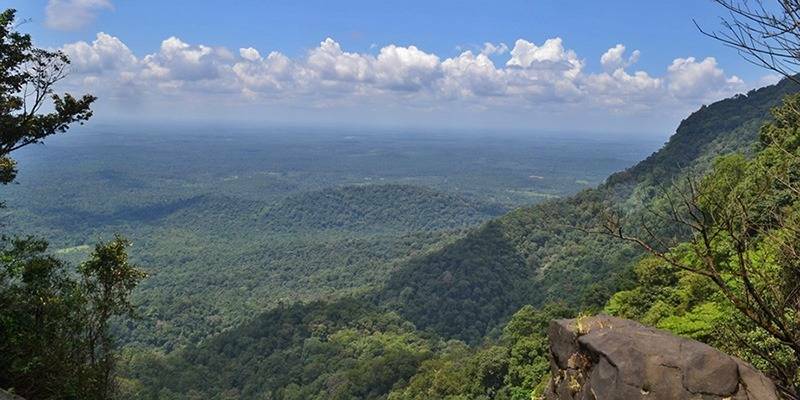 The riot of colours, the coolness of ambiancethe perpetual party of the birds makes these gorgeous Indian lakes permanent venues of immense, nonpareil beauty. Life looks easier when you remind yourself of the presence of such exquisite beauty within the boundaries of this country. Though its hard to pick but we have tried to list 10 of the most beautiful Lakes in Indian Himalayas. Pangong Tso smoothly translates to ‘Long narrow enchanting lake’ and it has quite rightfully enchanted generations after generations. This enchantress stands as a classic example of what an artist’s imagination might be like when he completely sets it free. Mother Nature’s darling, this lake has so many gorgeous avatars! Tourists can even walk on the surface during this season. In summers, Pangong Lake receives countless visitors like gorgeous maidens receive suitors to woo them. Passionate travellers and handsome birds both come to visit this Enchantress. The autumn is where Mother Nature becomes an artist obsessed with greens and blues. She is sapphire, topaz, emerald and tanzanite all at once. If you are an ardent traveller, then Ladakh’s Pangong Tso should definitely be in your basket list because winter or summer, morning or night, this spectacular lake is perpetually glorious. Magnificent Nagin Lake is the famous Dal Lake’s more beautiful sibling. Like a mother, this Nagin lake sustains life throughout the year. The humdrum activities within the exotic houseboats, the old and comfortable motion of the shikaras and the overall social exchange taking place within the lake’s territories keep it perpetually alive. 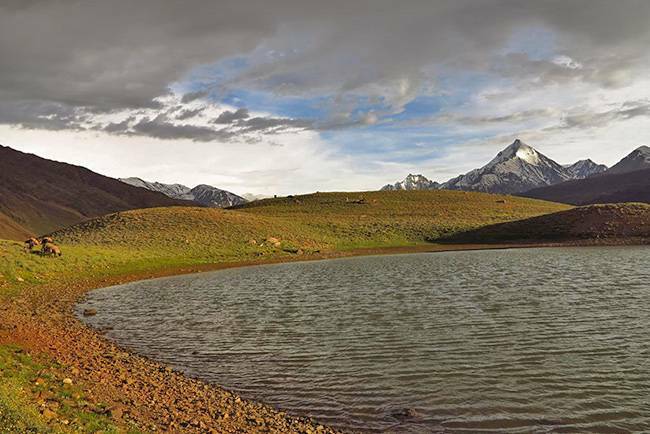 Surrounded by the Shankaracharya Hill in the south, Hari Parbat in the west and overlooked by the Zabarwan hills, this lake is an ancient witness to the goings on of life in the Kashmir valley. Dotted with chinars and white poplars on the edges, the glass-like surface of the lake acts as a mirror to these beautiful trees; the waters are so clean! If you want to do something slightly unconventional when you visit Srinagar, then hire a fibre-glass sailing boat to explore the lake or better yet, indulge in some exhilarating water-skiing. After a period of such enthusiastic engagements, if you feel hungry, feel free to pay a visit to the Nagin Club and grab a hot cup of tea and a plate of scrumptious pakoras of your choice. 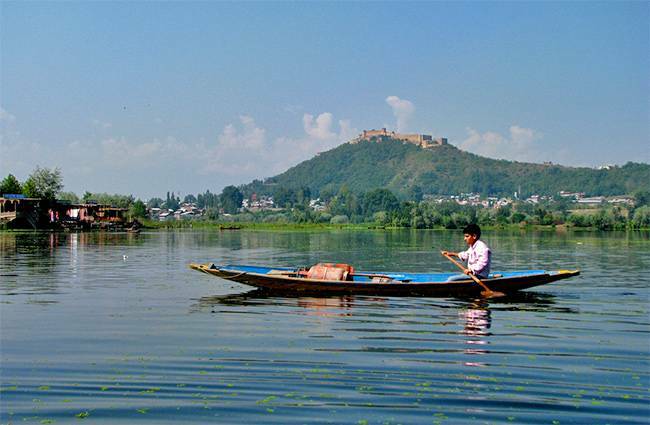 Your Srinagar visit cannot be complete without without a round of activities at the Nagin Lake, so please make sure that the trip is not an incomplete one. 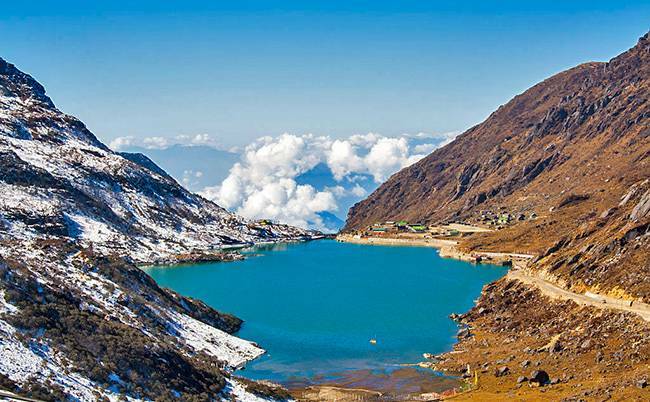 Colloquially referred to as the Changu Lake, this exquisite beauty falls on the way to Nathula pass in North Sikkim. It’s very picturesque but what makes this place different is its homely atmosphere. This is a place where not only travellers out to taste nature get to pleasure their senses, it’s also the kind of place where families can create memories. Children get to feel adventurous sitting on yaks, foodies get to indulge a bit at the roadside tea-stalls that sell delicious meals and photographers get to go a bit out of control because the place is so unimaginably gorgeous. More often than not, the Tsongmo lake freezes in winters and it’s a big loss if you haven’t seen the adjoining hills reflected on the Tsongmo Lake’s surface. In plain words, its magical! The landscape imbibes sheer excitement in even the most unexcitable person at just about any time of the year. When it is lavishly powdered with snow in winters, one gets to skid around in the adjoining hill; when it is covered in mist in monsoons, one gets to go all dreamy; when it is bright as gold in summers, one gets to see the sky both above and below, that is, reflected in water and this will go on if the fingers are set loose on the keyboard because the place is so heavenly. You must see it for yourself because in the end, ‘seeing is believing’! The moon lake it is! If paradise has a lake at the centre, it probably looks like Chandra Taal. 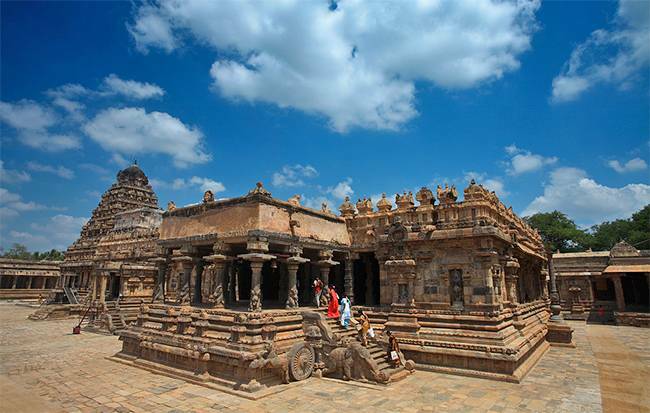 Travellers generally trek to this piece of dream. It falls en route to Kunzum La in Spiti from Baralacha La at Lahul in Himachal Pradesh. The view, after a rather strenuous, albeit enjoyable hike feels a lot like water pouring down the throat after hours of remaining parched. Primordial peaks, glistening glacier, budding rivers, high altitude desert landscape…what do you want to see? Just name it and you shall have it here. Chandratal Lake gives birth to the Chandra River that eventually becomes one with Chenub. It is great idea to camp here. In such a case, you shall join the ancient club of Tibetian traders and local shepherds. Don’t forget your watercolours if you are an artist. 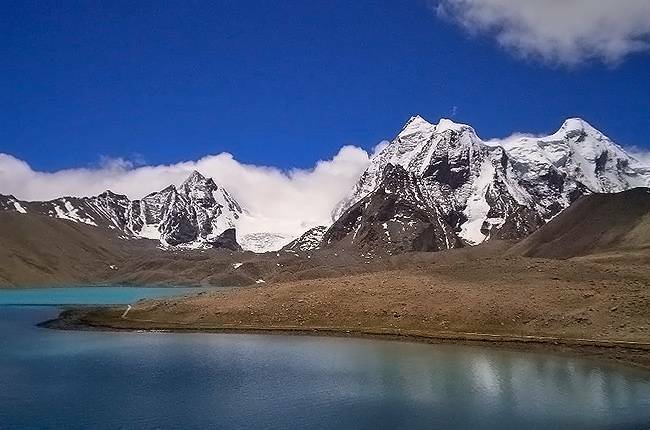 Tse La Lake or Sela Tal as we know it is an imposing sight for a traveller on his way to Tawang. This relatively large body of frosty water, located at a height 13,700 feet is straight out of a book of paranormal mysteries. 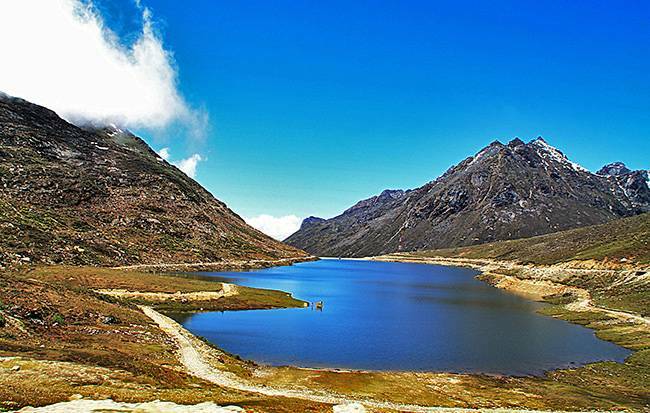 Situated right next to the Sela Pass, this lake is a queen among a supposed total of about 101 others in the vicinity. It freezes partially and quite often even completely in the winters. Several tiny Himalayan rivers originate from this mystic piece of fantasy. One look at the Sela lake might communicate a message of obscure mysteries but when a traveller actually ‘sees’ what lies around, he realizes that this lovely lake derives its beauty from all the life that it hosts. It perpetually receives exotic guests like mountain yaks and rare birds like shelducks. You can spend hours staring at the lake and its surroundings, so get ready to lose yourself here. Krishansar Lake or the lake of Krishna truly looks like the kind of place Lord Krishna would be extremely delighted to come to on vacations. Located close to Sonmarg in Kashmir, the area bears witness to perpetual snow. Krishnasar lake is an ideal balm for fatigued souls. The ambience is so very restful that it is bound to drown all your tensions and sorrows. All these Himalayan lakes are so feminine in beauty and character and this lake is no different. Like the others, this lake is also a mother to the wide array of fishes that reside within. Shepherds come to the adjoining meadow to graze their goats and sheep in summers. 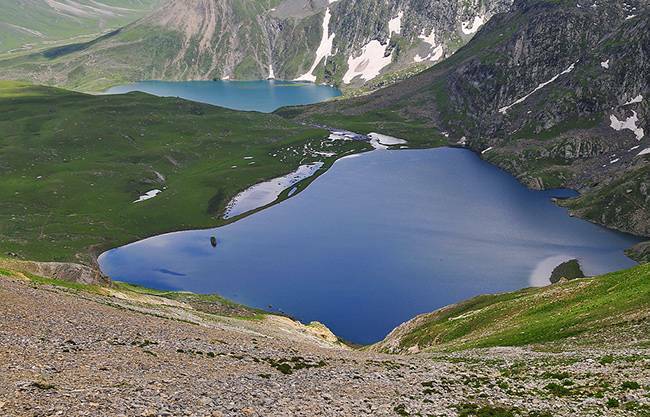 Fed by melting glaciers, this lake eventually gives way to the Neelam River. The hills in the vicinity look like brownies covered in vanilla ice-cream. Just like Gulmarg, the adjoining meadow here gets covered in thick sheets of snow in winter, only here the snow is even more in volume which makes the place almost inaccessible in winter but this spot is like a dream. Do pay the lake a visit if you want to see what the ice-cream tipped brownies taste like to the eyes. The holy lake of the Sikhs, Gurudongmar Lake is literally magical, the magic being created by none other than Guru Nanak himself. Legend has it that on his visit to this picture perfect lake, the birds and animals of the area came and complained to him that the winters were too harsh on them given the utter lack of water then as the lake completely froze. The Guru plunged his staff into the frozen lake and the section of ice that came apart hasn’t ever frozen till date. A part of the lake freezes every year but not this section. Situated within 5 KMs of the Chinese border, the lake is only open to Indian tourists. Standing at a staggering height of about 17100 feet, it takes some a little time to adjust to the climate but to tell you the truth, the sight that meets your eyes once you get there is powerful enough to make you forget that you have a body that might even remotely come close to having problems. 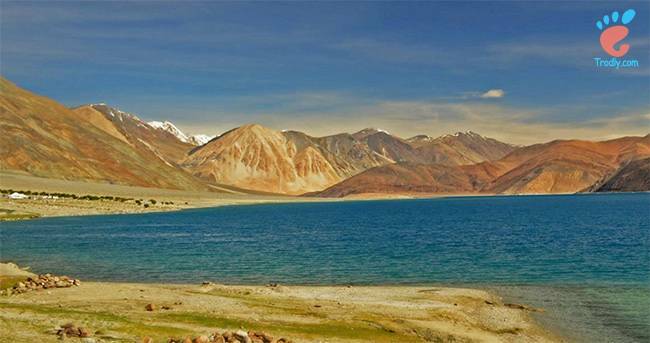 It has a strong resemblance with the lakes of Ladakh in terms of look and geography. Gurudongmar Lake feeds the Teesta River and it’s quite easy for a child to imagine that Teesta probably derives its opulent shade from the lake itself. Strangely, there’s a constant audible commotion of what sounds like shelling that meets your ears if you visit the place in winter. Do let us know if you have unveiled its mystery or the science behind it. For that you must go and see it for yourself first. 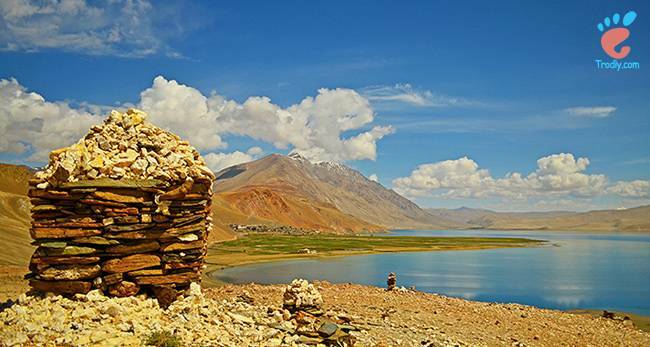 Situated in southern Ladakh, Tso Kar Lake mates with the distant horizon. It has a younger sibling called Startsapuk Tso. This is a salt lake that derives its name ‘white lake’ from the fact that it has abundant deposits of white salt within. This ornament of the Rupshu Valley is a bird-watcher’s paradise. Tso Kar Lake has a heart and it actually beats with life throbbing all around. The marshlands are a home to some of the most beautiful birds living in the world. The crested grebe, the bar headed geese, the brahmni ducks and the black necked cranes among many others add ample colours to this already vibrant piece of land. You may also say hi to the kiangs, the largest of the wild asses should you decide to come and see the place for yourself. The Khampas are indigenous herdsmen who live in the vicinity and give us an idea of how difficult, albeit peaceful life could be, away from the urban hum of the cities. They testify to how adaptable mankind actually is. Living in tents by the lake will be an unforgettable experience because this lake sparkles during the day and shines at night. Do you know the difference? If you do, let us know how you felt when you saw it and if you don’t, you just have to find it out at Tso Kar. 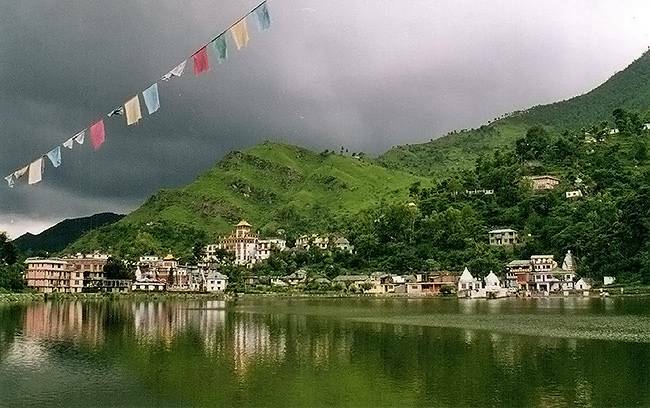 ‘Calm, quite, serene, cool’ – these is a perfect description of Lake Rewalsar which stands as a testimony to the wonderful spirit of religious harmony in Himachal Pradesh. The lake is officially the first witness to the immense powers of the great Padmasambhav , Guru Rinpoche to the Tibetians. This mystical body of water is said to have born out of the flames of the fire which should have burnt the guru and his beloved Mandarava, but fire gave way to flower (supposedly a lotus) when faced with true love. Dotted with prayer flags on the edges, this sacred lake is surrounded by a gurudwara, a temple dedicated to sage Lomas along with 2 others for lords Shiva & Vishnu and the Drikung Kagyu Gompa which is a centre of studies on Buddhist theology. There are other shrines in the area but what really grabs the attention is the larger-than-life statue of the holy protector, Rinpoche. 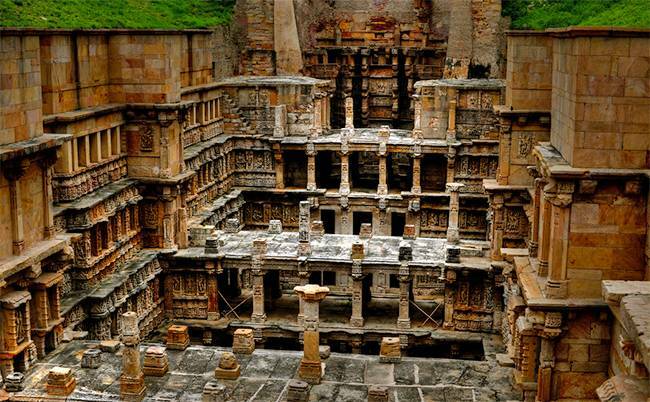 Rewalsar lake stands as a part of an extremely ancient culture that lends India the title of ’mystic land’. The lush greenery around lends the lake its verdant hue. There’s something otherworldly about the lake. While facing the water-body, you are bound to feel like God has infused your mind with mint. Yes, mint! You will not understand what I’m saying unless you visit the place and if you are more of a taker for excitement, then make sure you time your trip in sync with the Sisu fair in spring or the festival of Baisakhi. To taste real India, come to Rewalsar! It’s the abode of holy spirits! God just went a bit crazy! He has his moments of madness and this was one of them because ‘sanity’ can never produce something so unimaginably breath-taking and fantastic. There are several routes to this distinct piece of paradise. One may go there from Leh or Pangong Tso via Changthang or Chumthang. 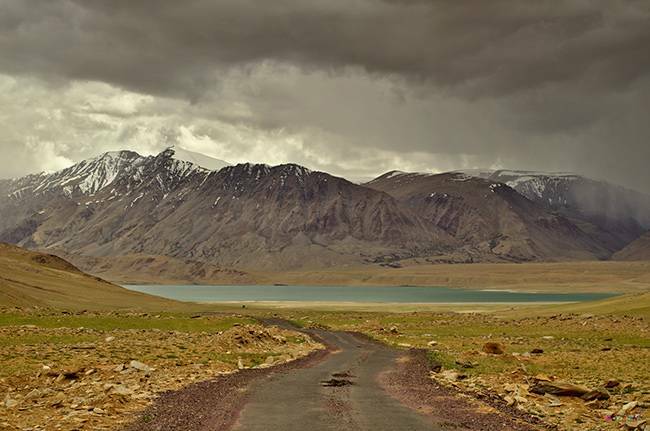 The summers are the most ideal time to visit the Tso Moriri Lake because by then, the ice sheets completely melt but you know what, some travellers put their wanderlust before convenience. For those wacky souls I say, you might even want to brave the winters. Make sure that you are armed with lots of brandy. The sight of the frosted Tsomoriri lake seems a lot like a picture right out of the Disney movie Frozen…only better! The surrounding coffee coloured hills have the look of the beverage with lots of cream just poured in during this season. Flanked by the age-old Zanskar in the west, Tibet in the east and Ladakh in the north, the lake hosts a wide range of animals like the Himalayan blue sheep, lynx, Tibetian gazelle, kiang, species of marmot, vole & hare and the Great Tibetian Sheep among numerous others. Birds like black-necked cranes, great chested grebes, bar-headed geese and ferruginous pochard also come to say hello to this largest body of topaz water in the trans-himalayan area. You might consider setting up tents nearby or put up at the Nomadic Life Camp in Korzok. Please don’t return from Ladakh before taking a look at Tsomoriri. You really don’t want to live with that sort of a regret! Suchandra is an English grad pursuing her masters at present. She is absolutely crazy about exploring places and loves to read novels when she isn’t writing for Trodly. She hopes to do at least one-fifth of what her bucket list contains but we wish she does everything in it.